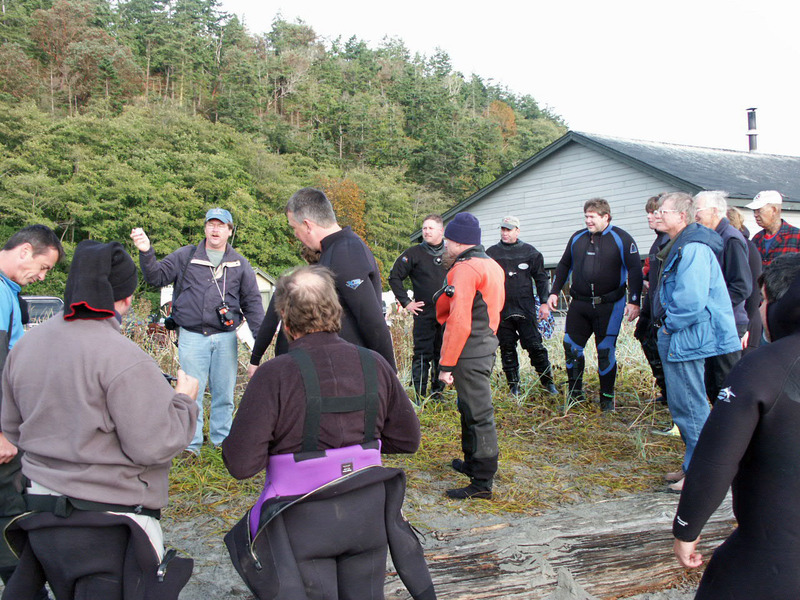 In the autumn of 2005, we had the idea to host a Chocolate Octopus Dive targeted for divers from around the area. The premise was simple—the divers who found a chocolate octopus hidden in the rocks off the beach in front of the Natural History Exhibit won a prize. Guess what the prize was? You got it—a chocolate octopus! They were artistically created especially for PTMSC by Lynn LeMaster at Lehani’s and safely tucked into waterproof bags so they could be enjoyed by the diver who “saved” them after they surfaced. 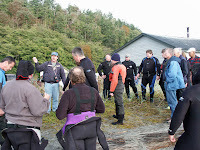 We had about a dozen and half divers participate on a damp, chilly Saturday morning in early October. To warm them all up after their dive we served…what else? but hot chocolate! 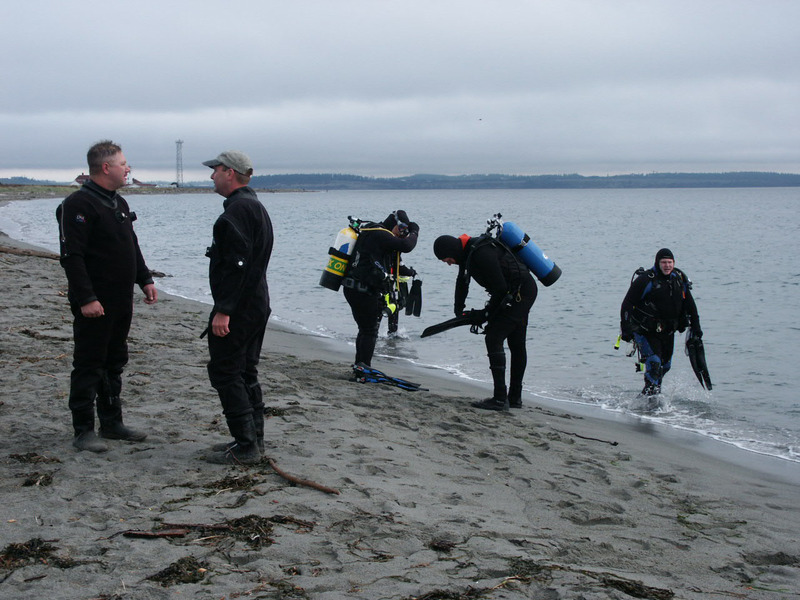 Divers came from across the Pacific NW to delve into the underwater sea garden between our Marine Exhibit pier and the Point Wilson Lighthouse. The intent of the Chocolate Octopus Dive was to inspire divers to learn more about the marine animals they discover while diving. 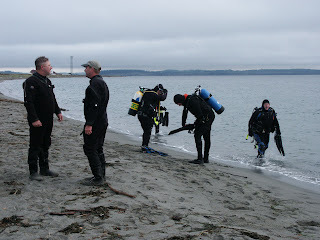 Free tours in both exhibits were offered after the dive. As you can imagine, it was a fun event for all.